Jam making is a traditional way to preserve all the wild fruits of the summer and save all that nutritional goodness for the darker months ahead. 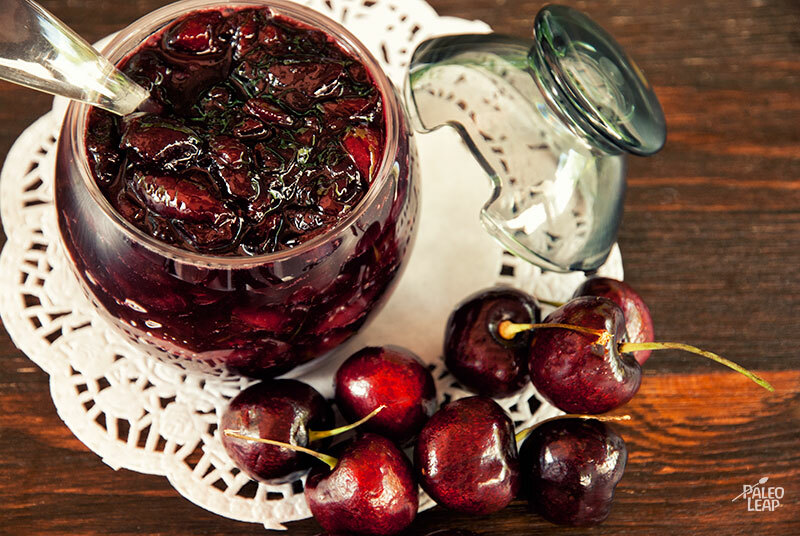 Traditional recipes for jam cover everything from strawberries and raspberries to quinces, currants, and gooseberries, but here’s one for a big pile of fresh cherries. It’s perfect if you’re a little overwhelmed with cherries right now but know you’ll want some later when the cherry season is over and the prices in the grocery store shoot up to truly absurd levels. In some jam recipes, you need to add pectin, but here, the lemon actually does that work for you, so you shouldn’t need extra pectin. You can go through the whole canning process if you want to, but you can also just store the jam in an airtight container in the fridge. Between the fruit and the honey, there’s no pretending that this recipe isn’t high in sugar: honey might be natural, but sugar is sugar is sugar, regardless of how “natural” the source might have been. So this is definitely a treat to enjoy one spoon at a time, not straight out of the jar. Why not try it as a replacement for maple syrup over pancakes or waffles? Or if you’re feeling really decadent, you could even use it as an ice cream topping – without even getting into the realm of bread and crackers, you’ll find plenty of uses for your new homemade treat! Add the cherries and honey to a skillet. Don’t turn the heat on; just let them sit in the cold skillet. Let sit for at least 10 minutes or until the cherries have released most of their juice. Turn the heat to a medium heat and bring to a simmer, stirring frequently. 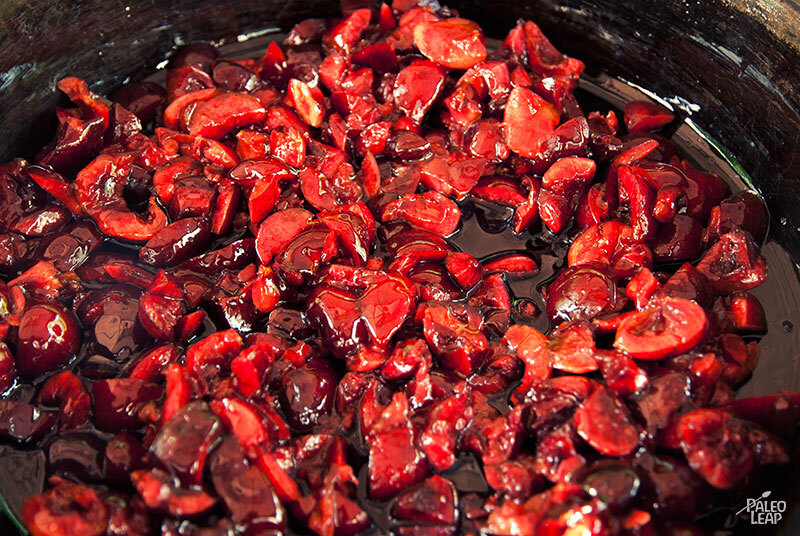 Continue cooking, stirring the jam as it simmers, until most of the liquid has evaporated. This should take approximately 30 minutes, but just keep going until you get the desired thickness. Enjoy warm right away or refrigerate.